The City of Cape Town's flooding and storms task team has competed its annual flood risk assessment as winter approaches. PHOTO: City of Cape Town. Although Cape Town is in the midst of a drought and winter rainfall patterns cannot be predicted with certainty, flooding is a known hazard in the city. The City of Cape Town’s flooding and storms task team has completed its annual flood risk assessment – a key element of the city’s winter readiness plan – as winter approaches, the city said on Sunday. Although Cape Town was in the midst of a drought and winter rainfall patterns could not be predicted with certainty, flooding was a known hazard in the city and a number of departments were working hard to mitigate the impact of such incidents in the coming months, mayoral committee member for safety and security, and social services JP Smith said. Historically, Cape Town was known for experiencing cut-off low pressure systems during the winter months that resulted in heavy rainfall and flash floods. The risks were increased when such conditions coincided with the spring tide, as was the case in June 2017, resulting in storm damage, including structural collapses, power outages, and uprooted trees in various areas of the metropole, he said. To mitigate the impact of severe weather episodes, a number of city departments participated in the annual winter readiness preparations under the banner of the flooding and storms task team chaired by the city’s Disaster Risk Management Centre. – Mountain slopes in the Helderberg, South Peninsula, and Table Mountain range that had been stripped of stabilising vegetation by fires were a risk for flooding or mudslides. “The respective departments are working hard to address the risks, but are also doing general maintenance like cleaning of stormwater and river systems, pruning of trees and shrubs, and public education and awareness drives on how to safeguard homes, particularly in informal settlements, from flooding and related risks,” Smith said. “Residents are given practical tips on how to raise floor levels, divert flood waters, and reduce health hazards associated with stagnant water. We also call on private homeowners to assess their risk. For example, if they live close to mountainous areas it is probably wise to consider sandbags in the event of flooding or mudslides; and to ensure that their properties are maintained to reduce weather-related risks,” he said. Some tips for private homeowners included clearing gutters of debris such as leaves, ensuring that roofs and chimneys were waterproofed, trimming tree branches that could potentially fall and cause damage or injury, having chimneys and fireplaces cleaned as accumulated debris could pose a fire hazard, and ensuring that personal and building insurance was up to date. “We have no clear sense yet of how wet it will be this winter. 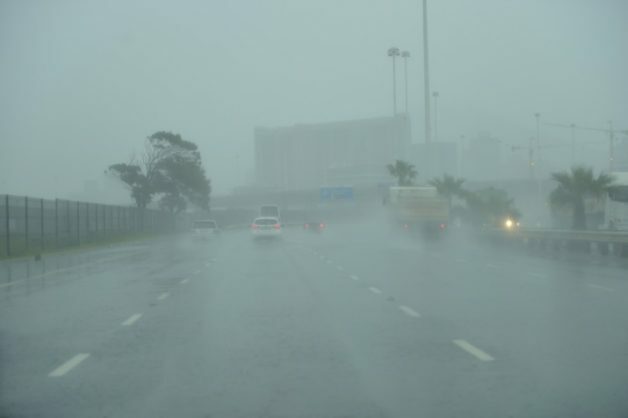 The Disaster Risk Management Centre is still awaiting a long-range weather forecast from the South African Weather Service. Given our desperate need for rain to counter the crippling drought, we are obviously hoping for above average rainfall, but that comes with its own challenges. It is therefore imperative that everyone does their bit to ensure that we are ready for winter,” Smith said.